The Volt is already a star with green-car nerds, but Chevrolet hopes its 2016 model will appeal to everyday folks, too. The 2016 Chevy Volt wants to be the Johnny Depp of hybrid vehicles: the quirky character who becomes the star of the show, like Depp playing Captain Jack Sparrow in Pirates of the Caribbean. Long before Depp became a famous pirate, though, he was already a cult favorite for his unique performances in movies like Edward Scissorhands and What’s Eating Gilbert Grape. In the same way, the Volt is already a star among green-car nerds who love how this plug-in hybrid electric vehicle combines solid electric vehicle range with convenient backup by a gasoline engine. These Volt fans bought prior generations of the car even though it looked a little weird. And now they’re excited about the 2016 Volt because it promises 53 miles of EV range—a big jump from the 2015 Volt’s 35 miles on electricity alone. 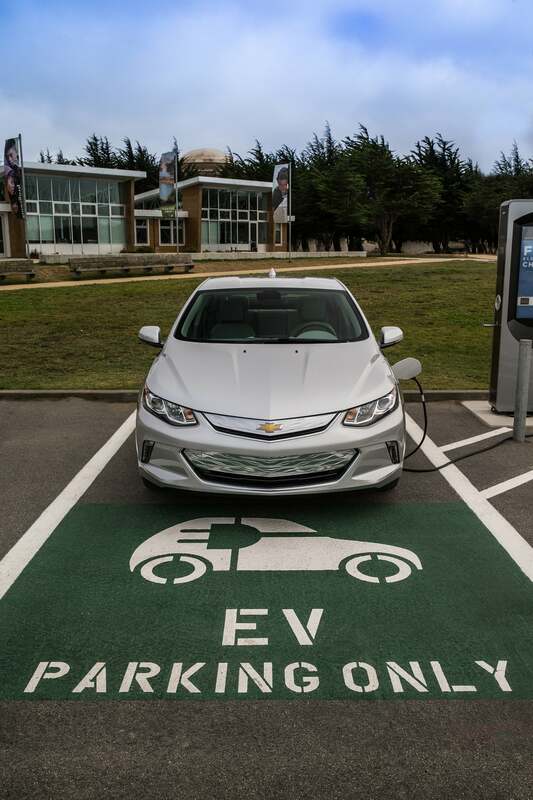 The 2016 Chevrolet Volt can charge fully at a Level 2 station in about 4.5 hours. 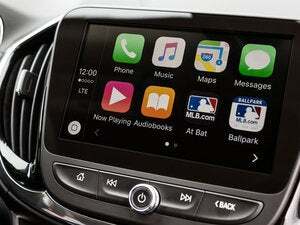 Weird doesn’t sell as well to mainstream drivers, though, and Chevrolet wants to sell more Volts. The company has completely redesigned the 2016 model in part to make it more appealing to everyday drivers. These are people who may not know that the Volt has the best EV range of any plug-in hybrid electric vehicle, but they may have heard it saves a lot of gas. Plus, it looks nice. 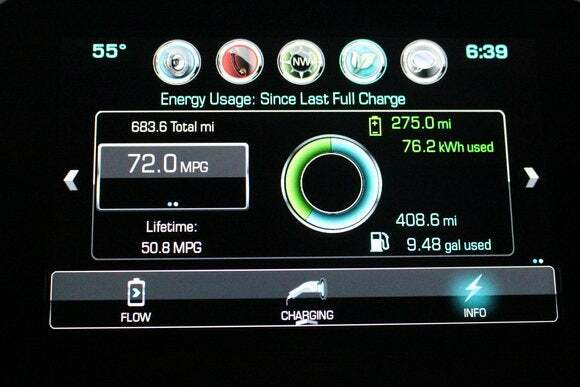 I kept these new customers in mind during my seven days and 700 miles with the Volt. I drove long road trips and daily commutes. I put people and stuff in this car. I drove in torrential rain. 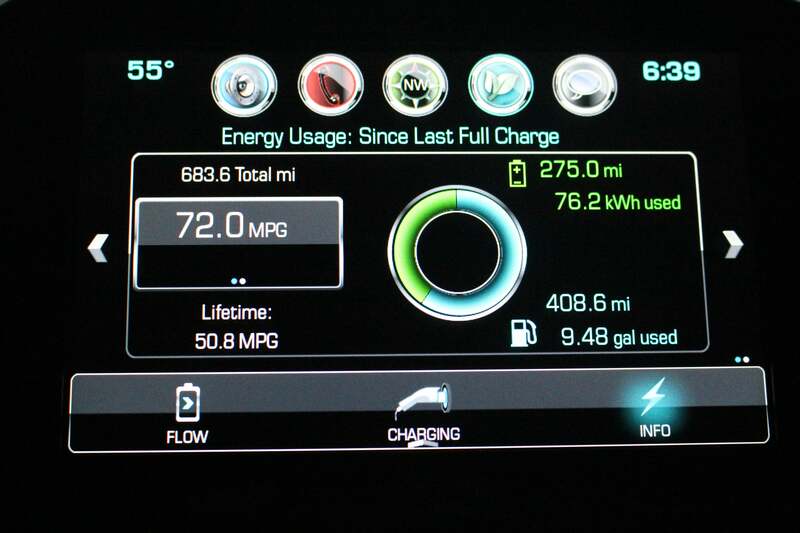 I logged over 500 miles before I needed to get gas, and averaged 72 mpg. My take: Just as we tolerate some of Depp’s less-successful weirdo roles (Mortdecai comes to mind), mainstream drivers who buy the Volt will have to learn how to live with a car that sacrifices some comfort and space in the name of fuel economy. The car’s awesome EV range makes up for almost everything, though, and the Volt is still a PHEV I’d readily recommend. The Voltec Propulsion System on the 2016 Chevrolet Volt extends from the engine compartment to the battery that runs under the floor and the backseat. Before we dive into the Volt, let’s establish where it dwells in the green-car universe. You probably already know that a purely electric vehicle (EV), such as Tesla’s Model S or Nissan’s Leaf, runs its electric motor entirely off a battery. These EVs are charged on household electricity, or, if you’re lucky, at public charging stations. And you probably know that hybrids like the Toyota Prius have a gas motor as well as an electric motor. The Prius actually uses its gas engine—as well as energy collected from “regenerative braking”—to charge the battery for its electric motor. This charging method eschews the need for public charging stations and plugging the car into wall outlets. The Volt sits in between EVs and gas-powered hybrids like the Prius. Its electric motor runs off an electrically charged battery, while its gas engine, of course, runs on gas. It’s part gas car, and part EV, and that’s why it’s called a plug-in hybrid electric vehicle, or PHEV. The problem with most PHEVs (other than the Volt) is their paltry EV range. Indeed, if you’re getting just 16 electric miles from the Audi A3 Sportback e-tron, or even 27 from the Hyundai Sonata, you’re not getting much EV for the money. Even the Prius Prime, announced March 23 at the New York Auto Show, will have only 22 EV miles. 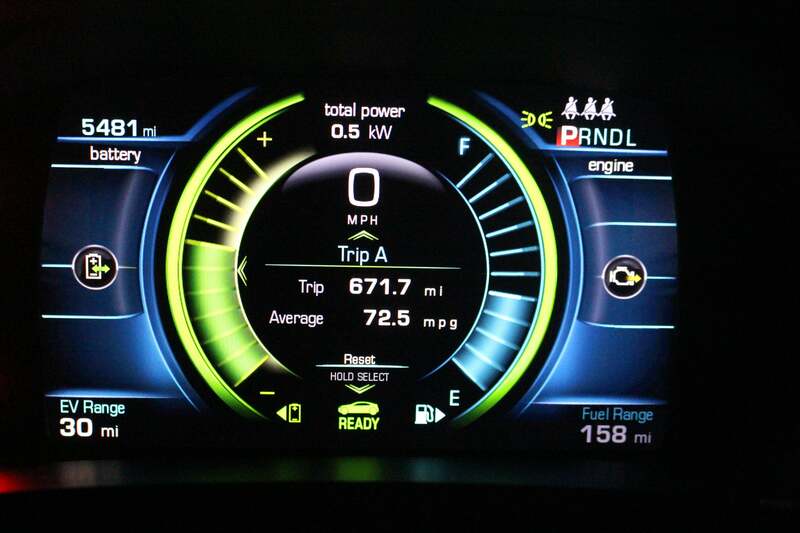 So think about the 2016 Volt’s 53 electric miles. If you generally drive less than that daily, you could drive and recharge a Volt many times over before needing any gas. Chevrolet expects the typical Volt owner will drive 1,000 miles between gasoline fill-ups. That’s something a regular person could appreciate. Once those animations have calmed down, the digital instrument cluster and 8-inch center touchscreen offer different views to help you monitor charging status and history. You get a wealth of charging information from the center display. Most of the time, I let the animated Flow diagram on the center screen give me real-time feedback on battery or gas usage. 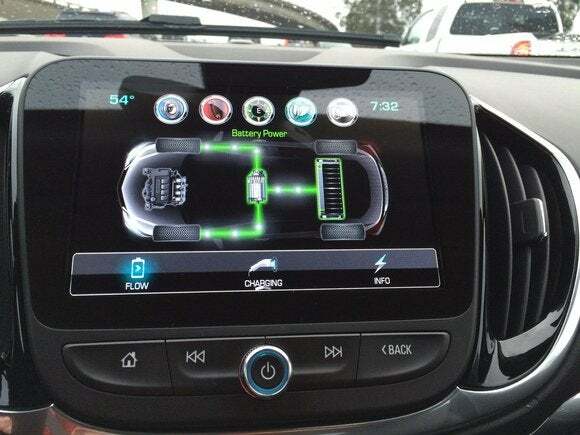 The 8-inch center touchscreen on the 2016 Chevy Volt offers, among other views, an animated illustration of the gas and electric power distribution as you drive. Under the hood, you’ll find the Voltec Propulsion System. Its two electric motors can work alone or in tandem. The 1.5L DOHC cast-aluminum gas motor, which plays the supporting role of “range extender,” has an output of 75 kilowatts or 101 horsepower, with a top speed of 5600rpm. While the previous Volt’s gas motor required premium fuel, the new one (with an 8.9-gallon tank) uses regular. It contributes to the Volt’s maximum range of 420 EV and gas miles combined. 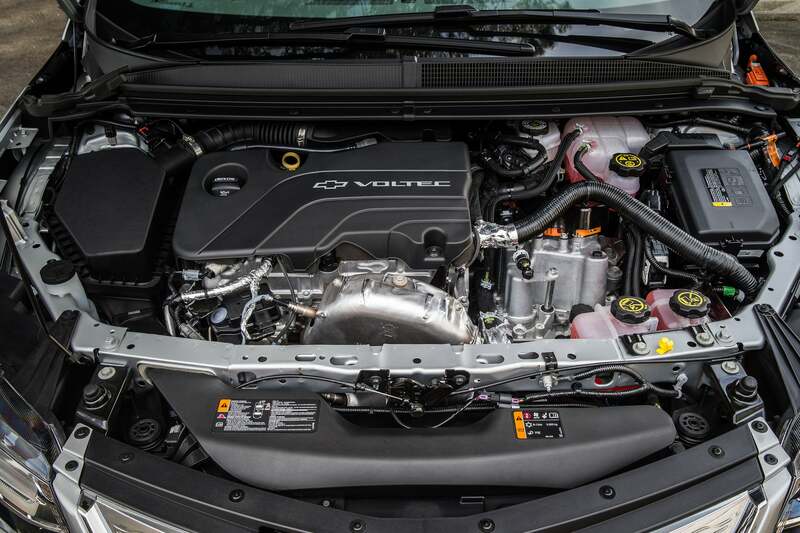 This view of the engine compartment of the 2016 Chevrolet Volt shows (left of center) the motor component of the Voltec Propulsion System. 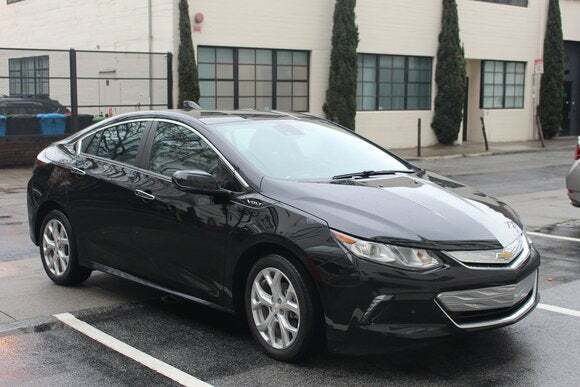 On EV or gas, in the default Normal drive mode, the Volt has a smooth, mellow feel. Because I ran down the battery every day, I experienced the switch between gas and electric motors many times. It’s extremely subtle, and really only calls attention to itself when you suddenly hear the gas engine’s low rumble. You notice more of a difference in the car’s Sport mode: Punching the accelerator will push you back in your seat, and you can almost hear the battery scream as it drains precipitously. The Volt’s two other drive modes are Mountain, which combines gas and electric motors for more power on slopes, and Hold mode, which prioritizes gas driving so you can reserve the battery. 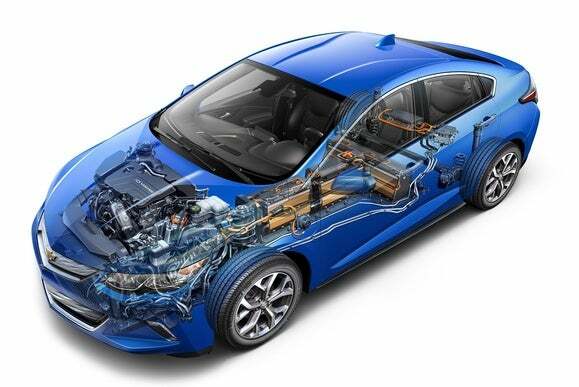 The 2016 Chevrolet Volt’s 18kWh battery nestles under the floor and the backseat. The Volt’s 18.4kWh lithium ion battery is its crown jewel. Chevrolet worked with LG Chem to make the new battery pack more efficient. It uses fewer cells than before (192, down from 288) to yield more power, and it weighs 20 pounds less. Recharging is easy if you have access to 240-volt, Level 2 charging stations, taking just 4.5 hours. (DC Fast charging is not available.) Chevy expects about half of Volt owners will have access to Level 2 charging. The charge port is on the front driver’s side; just push on the door to open. If, like me, you’re stuck with only household AC, you’ll need 19 hours on 8 amps of current, or 13 hours on 12 amps of current, to recharge the battery from zero. With the 8-amp setup at my house, I eked out only 28 to 34 miles of charging overnight. Falling short five out of seven days is a bummer. If I owned this car, I’d probably start scouting Level 2 stations or saving up to install one at home. The AC charging unit is heavy-duty and a bit awkward to handle. The included charging unit is an extremely useful three-headed monster. 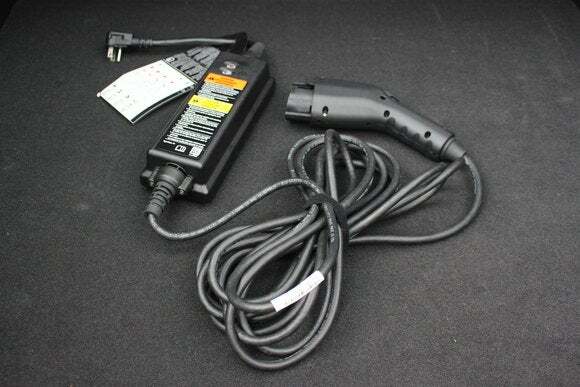 The large AC block, 25-foot cord, and sturdy plug are a challenging assemblage to wrestle in and out of the Volt’s storage bin in the trunk area. Most of the time, I left it out in the trunk. Ever in search of more battery range, I became addicted to the Regen on Demand paddle on the back of the steering wheel. 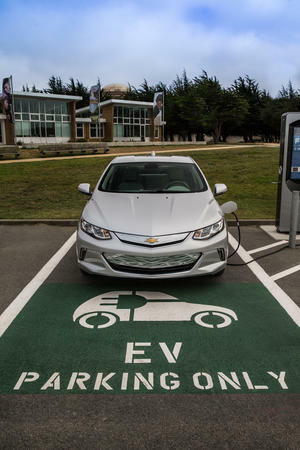 It’s common practice among EVs and hybrids to capture energy from the braking process and regenerate it to charge the car’s battery. The Regen on Demand paddle lets you exercise this feature more frequently by slowing down the car to some degree, giving the paddle brake-like qualities (though it’s not a substitute for the brake). This is obviously something you would do only when you needed to slow down anyway. It takes some finesse to avoid a slight lurching feeling when you use it, but it was worth it to get the extra juice for my battery. The battery’s positioning underneath the car’s floor and backseat helps lower the Volt’s center of gravity, contributing to a pretty stable ride—both on the twisty roads I tried when I first drove the Volt last year, and during the torrential rainstorms that blew in during my loan period. Deep puddles and heavy winds barely moved the Volt. 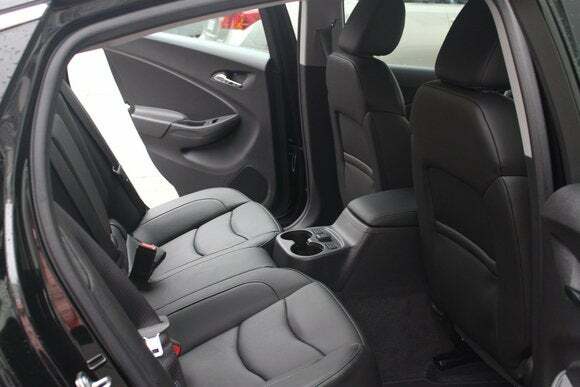 Passenger space is typical for a compact car, including the daunting middle seat. . Unfortunately, the combination of the battery profile and the Volt’s emphatically aerodynamic design impacts the car’s interior layout. The long hump the battery creates forces the unlucky occupant of the center backseat to straddle a chunky console. The side backseats were snug for longer-legged guests, but, even worse, some of my friends had trouble getting into the car—the roof line is low, forcing difficult body contortions for taller people. In back, too, the sharply sloped rear window loomed close over their heads. It’s very hard to see out of the steeply angled rear window on the 2016 Chevy Volt. 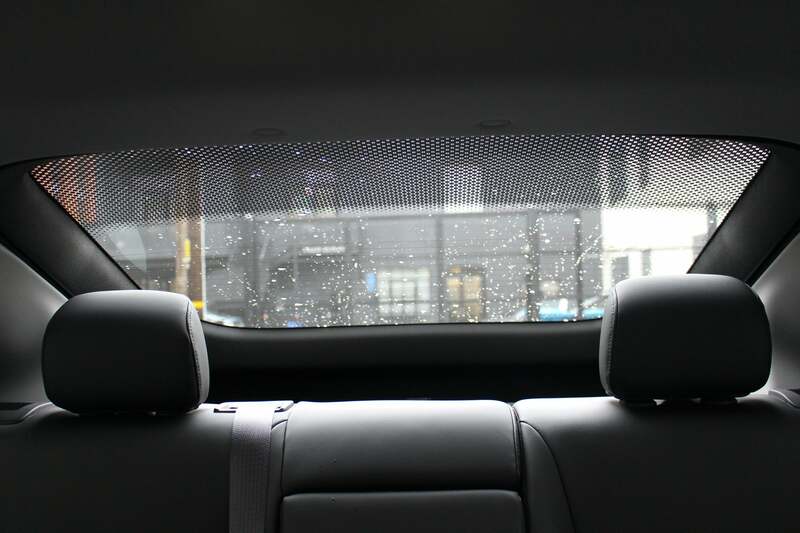 That rear window also has terrible visibility, due to its steep angle and the thick C-pillars on either side. My loaner came with blind-spot monitoring, and I needed it. The rear backup camera is standard—and essential. During one rainy day, when water droplets obscured its lens, I couldn’t see anything at all in back. If I could fix one thing about the Volt’s design, it would be this heavily obstructed rear view. It was not fun hauling heavy items over the high sill on the trunk. The last design casualty is the trunk. 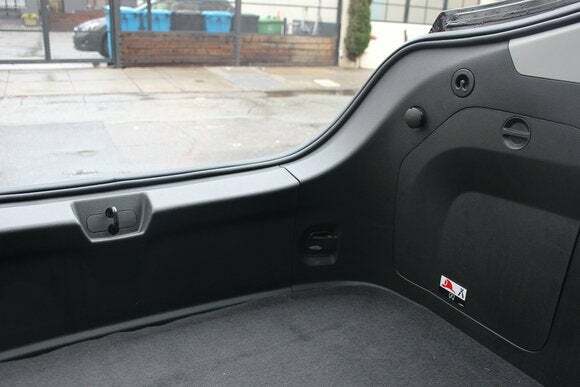 With the seats up, its capacity is just 10.6 cubic feet. Deep sidewalls make it even narrower than it looks from the outside. Chevy tried to maximize space by making the floor lower, but the unfortunate side effect is a relatively high sill, forcing me to hoist things awkwardly into and out of the back. I’ve detailed all these design drawbacks not to dissuade people from trying the Volt, but to manage their expectations. I think the Volt could wield its undeniable PHEV star power best in the right roles. For mainstream drivers, the Volt is at least worth a test drive. It’s attractive, nice to drive, and useful for the groceries, dry cleaning, and occasional passengers of daily life. A PHEV is also the least-stressful introduction you could have to the new world of green cars. I also think Chevrolet should consider the Volt’s other potential audience: exhausted EV drivers who want to drive green but don’t want to drive themselves crazy charging all the time. I’ve lived that life. I like the flexibility the Volt gives me: I may want to charge, but I don’t need to. I actually miss the Volt now that it’s gone. PHEVs seem like such a sensible choice—I keep hoping a charging port will magically appear on my traditional gas-powered car. Driving the Volt increased the likelihood my next car could be a plug-in hybrid, though I’d prefer something bigger. Right now, however, the Volt’s the one PHEV I’d recommend.